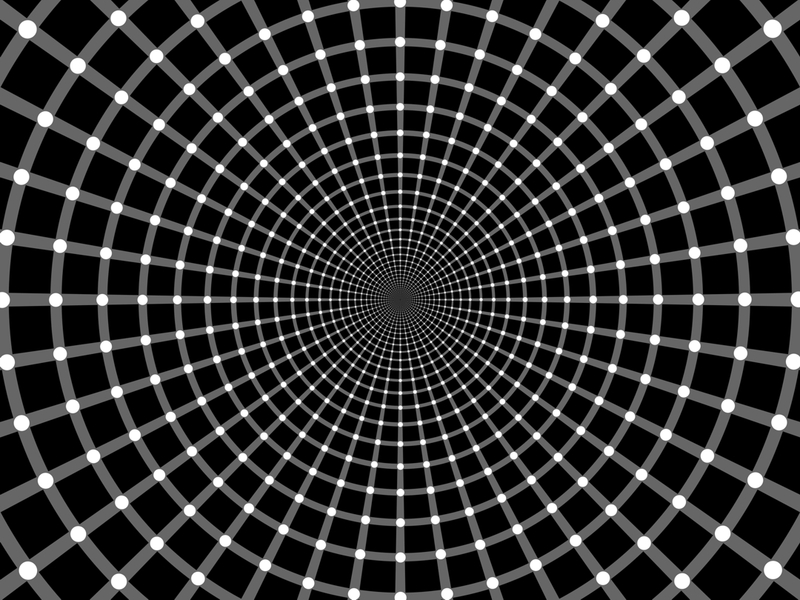 Illusion design works that look like op art. 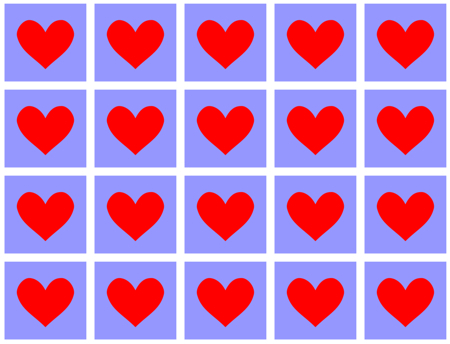 Please note that this page could make you feel sick. 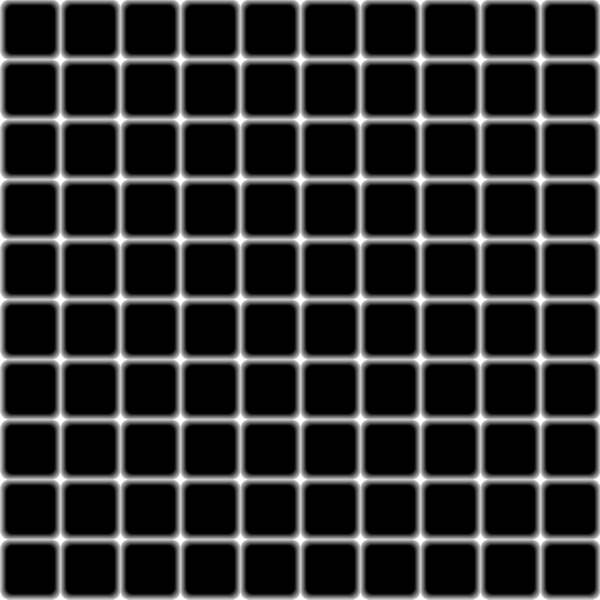 The image appears to scintillate (scintillating grid illusion). 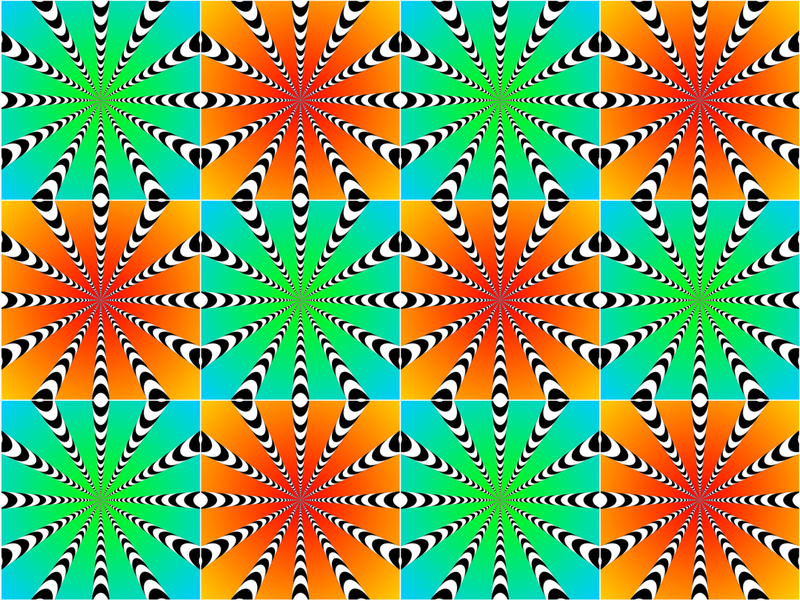 The image appears to scintillate or move. 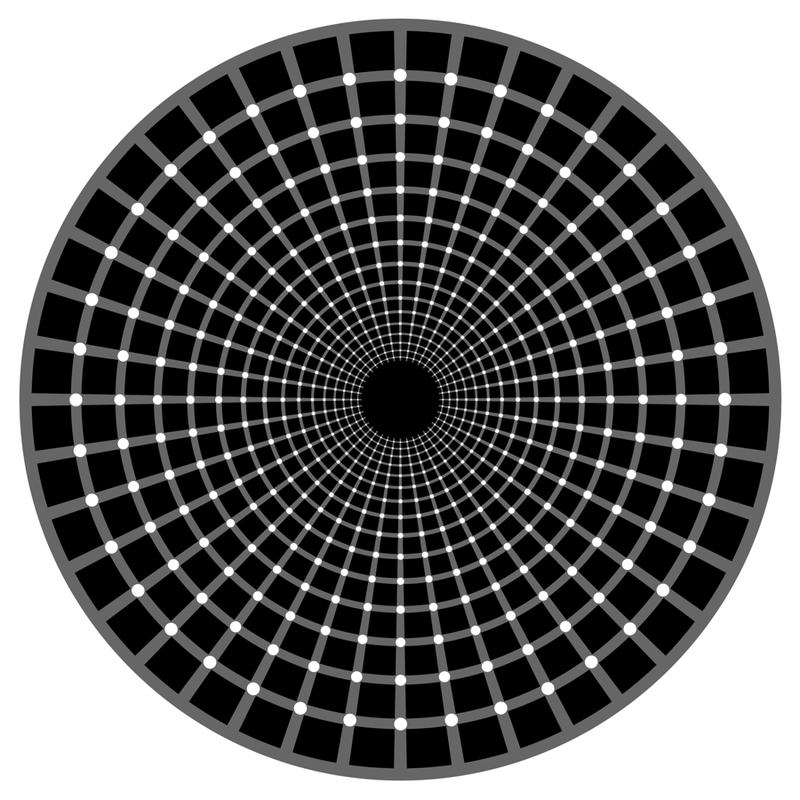 Something appears to run in each ring (the Enigma illusion). 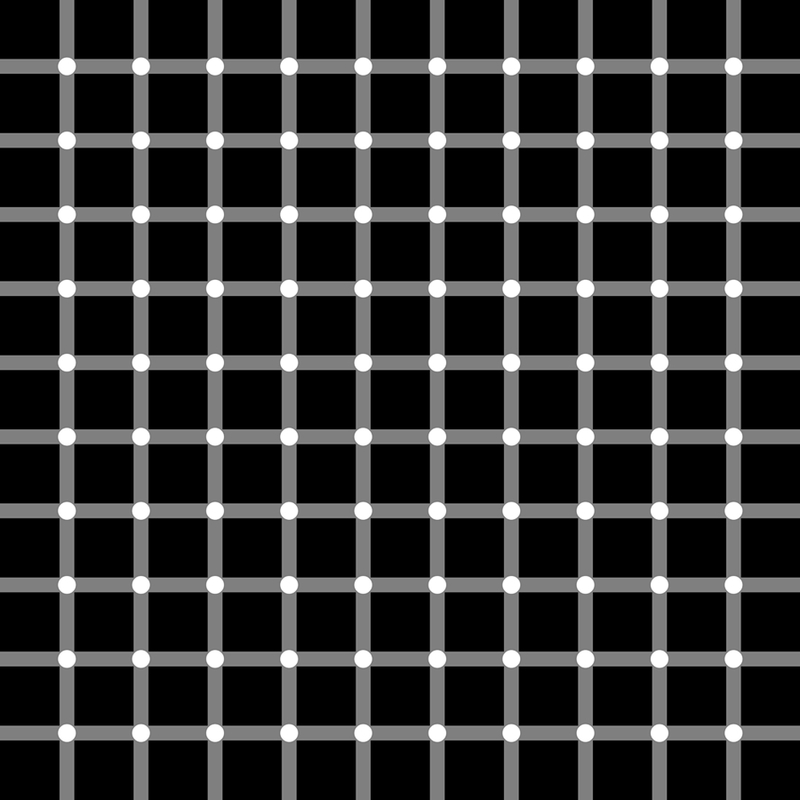 Something red appears to scintillate in black dots arranged regularly in the inner blue circle, which appears to move. 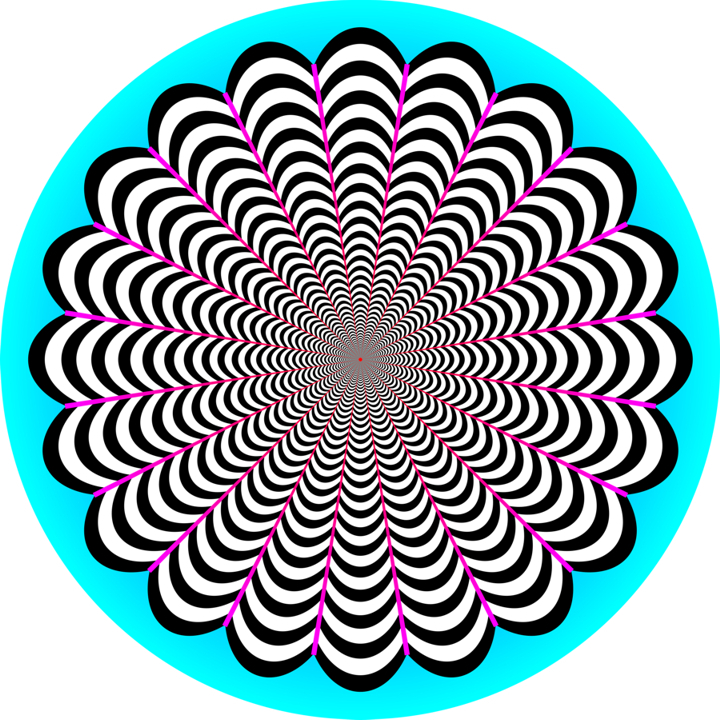 "Brain activity: a coronal section"
"Neurons" appear to scintillate with illusory red or white. 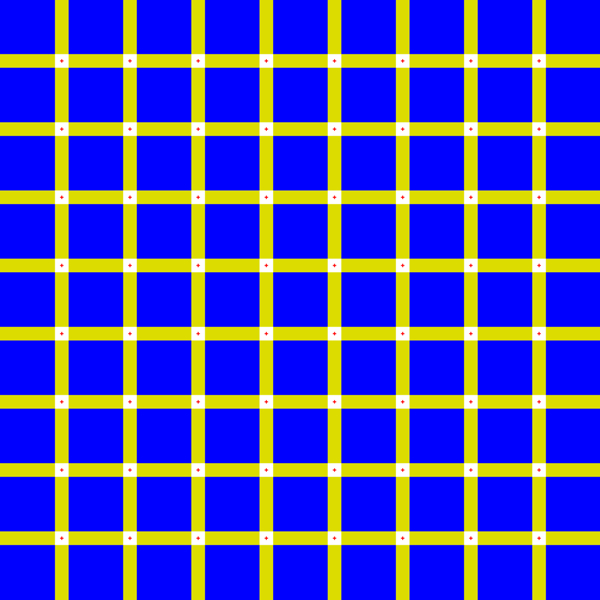 This effect is a variant of the Bergen illusion (Bergen, 1985). 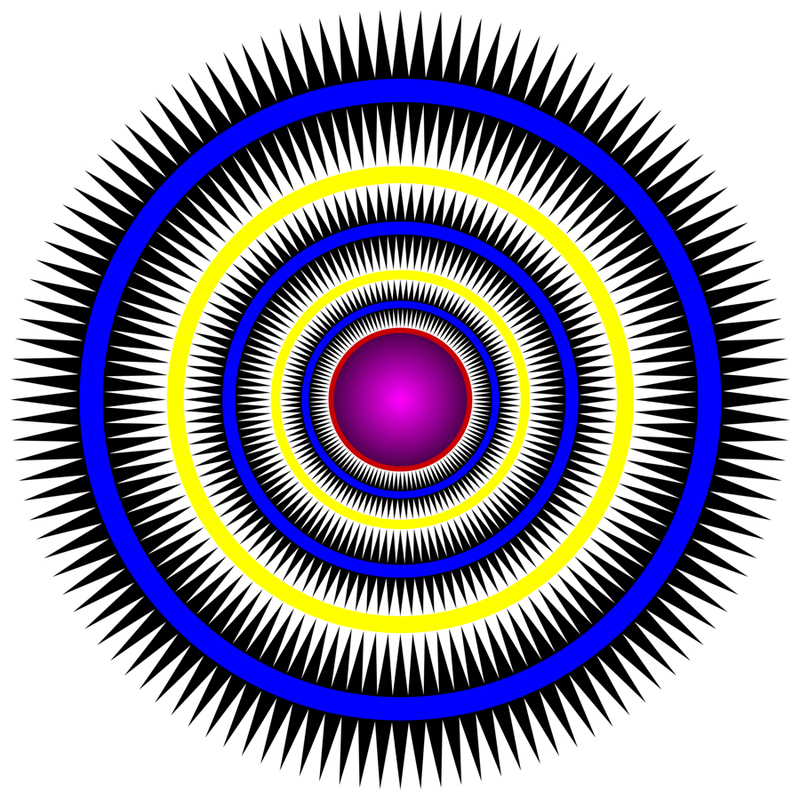 "Brain activity at night: a coronal section"
"Neurons" appear to scintillate with illusory blue or black. 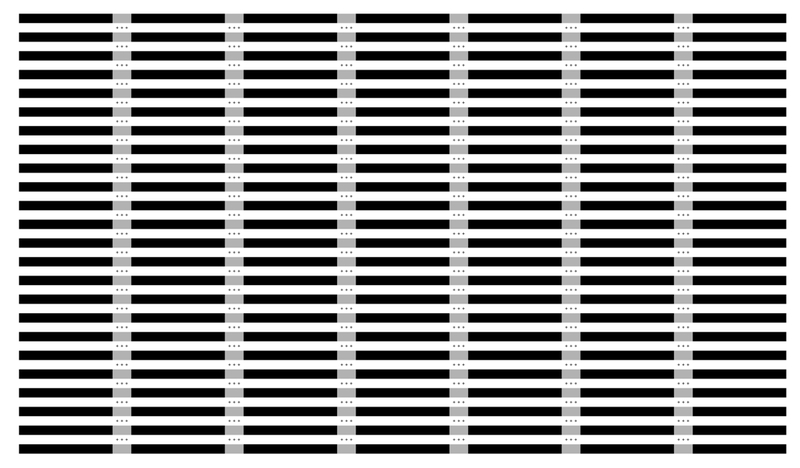 White stars appear to be scintillate (Bergen illusion: Bergen, 1985). 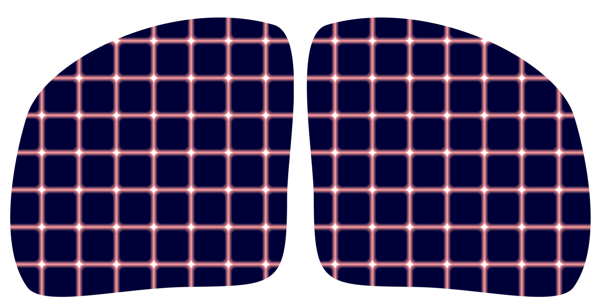 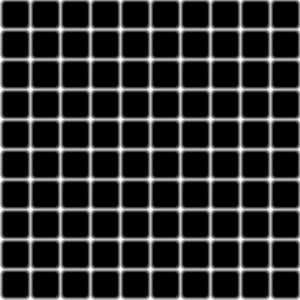 White dots appear to be scintillate (scintillating grid illusion: Schrauf et al., 1997). 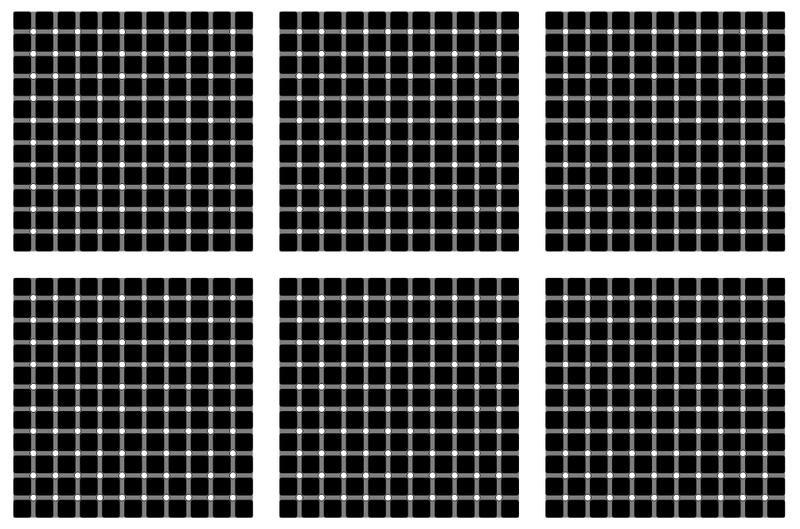 Rows of three crosses appear to be scintillate in the peripheral vision. 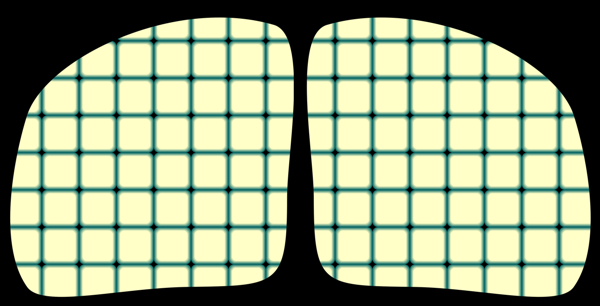 Blobs that appear to drop at crosses appear to be cleaned when observers direct their eyes to them.